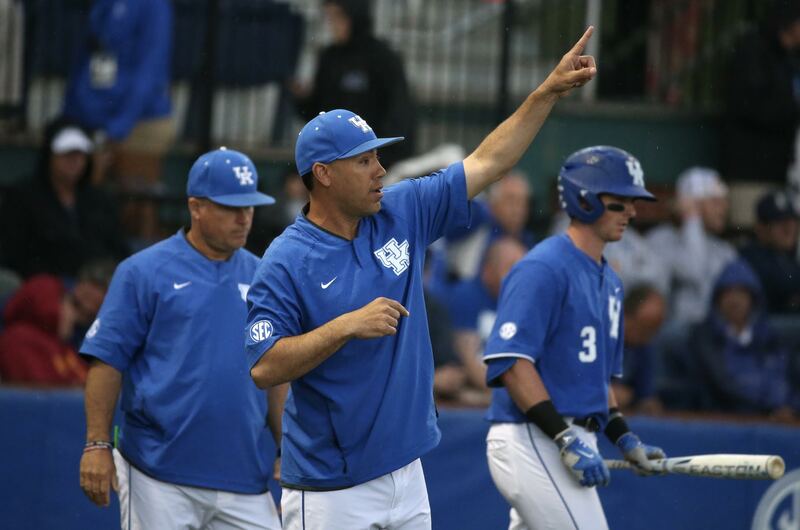 LEXINGTON, Ky. – First-year Kentucky head coach Nick Mingione has been named Southeastern Conference Coach of the Year by his peers, it was announced by the league on Monday. Kentucky enters this week’s SEC Tournament with 38 wins, ranked in the Top 10 and widely projected to host an NCAA Tournament Regional. The wins are the most for the program since the 2012 team won a school-record 45, and the Wildcats’ 19 regular season SEC wins are the second most in school history to the 20 won by the 2006 team, the Cats’ only league title. It has been a historic season thus far for the Wildcats, who were picked in the bottom half of the league in the preseason, began the season 2-5 and did not enter the national rankings until week 5 of the season. The Cats remained in the top three of the SEC standings all season and still had championship implications in their final regular season game at Florida. Mingione, who was an assistant at UK under John Cohen before spending the past eight years with him at Mississippi State, set new high-water marks for a first-year UK coach. The 38 overall wins are nine more than Keith Madison had in 1979 and the 19 SEC wins are six more than Madison had that season, both of which were the previous program records. The Cats have 17 wins over ranked opponents, the second most in school history and their .839 winning percentage at Cliff Hagan Stadium this season also was the second highest winning percentage in a single season in home games (.853, 2012). UK also completed just the second unbeaten non-conference home schedule in school history. o First sweep over a ranked opponent since the Wildcats swept No. 2 South Carolina on March 16-18, 2012.
o Believed to be first sweep of a ranked non-conference foe. · Defeated No. 2 Louisville. · Completed only the second non-conference home schedule in school history. · First 4-0 start on road in SEC play since 1949. · First sweep of a ranked SEC foe in five years. · First sweep of a true road series since knocking off Tennessee in 2008. · First road series victory over a ranked SEC foe since April 2015 at No. 5 Florida. · Texas A&M came into the series owners of an 80-15 record at Blue Bell Park since the beginning of the 2015 season. · Ended an 8-game losing streak to Ole Miss dating to 2013. · First series win over Ole Miss since 2013. · First series win over Vanderbilt since 2009 in Lexington. · 7-1 start in SEC play is best since the 1992 team began league play 7-1 on its way to an 8-1 mark through the first three weeks of conference play. · Ended an 11-game losing streak at South Carolina dating to 2008. · Had been 2-22 at South Carolina since 2001.
o Largest ever margin of victory for UK in SEC play. o The worst home loss for South Carolina at Founders Park (opened in 2009).